Really exciting news for those with food allergies, and other life-threatening allergies. Mylan, the maker of Epi-Pen, contacted us today to share this information with our readers. They hope to have them available by the end of November at Disney Parks and by the end of the year on Disney Cruise Lines. We’re excited to announce that Mylan Inc. has entered into a multi-year strategic alliance agreement with Walt Disney Parks and Resorts to help enhance access to EpiPen® (epinephrine) and EpiPen Jr® (epinephrine) Auto-Injectors and increase awareness of anaphylaxis, a life-threatening (severe) allergic reaction. Each year, millions of guests visit Walt Disney Parks and Resorts in the U.S. — many of whom are living with and/or managing severe allergies — so for us, this alliance was the perfect fit. As you know, food allergies are on the rise and continue to be a serious health issue in America. To date, 46 states have passed policies that allow/require schools to maintain undesignated epinephrine auto-injectors for those who may experience anaphylaxis. Our hope is that the positive trend we have seen in the school setting will expand to other public settings. • Provide updated maps in Disney’s domestic theme parks and cruise ships, as well as updated signage in parks, highlighting locations of EpiPen and EpiPen Jr Auto-Injectors. • Anaphylaxis can progress quickly and without warning. • Clinical guidelines state that epinephrine is the first-line treatment for anaphylaxis, making access critical. • Families managing known severe allergies are encouraged to follow their individual anaphylaxis action plan, which includes 1) avoiding known allergens, 2) recognizing the signs and symptoms of anaphylaxis, 3) having access to two epinephrine auto-injectors at all times, such as EpiPen Auto-Injector, and 4) seeking immediate emergency medical care should anaphylaxis occur. The product made available at the parks is not intended to replace a person’s individual emergency anaphylaxis treatment. It looks as if Disney plans to make them available in the First Aid stations located throughout the parks. Here is a list of Disney World first aid locations. However, if you ever feel you are have an allergic reaction and you don’t know where to find nearest first aid location or it is not nearby, contact a Cast Member and they will have medical personnel come to you. They are very fast and can probably find you quicker than you can walk across the park to find first aid. The press release is pasted below and available on the EpiPen Auto-Injector media room. PITTSBURGH – Nov. 7, 2014 – Mylan Inc. (Nasdaq: MYL) today announced it has signed a multi-year strategic alliance agreement with Walt Disney Parks and Resorts to help increase awareness of anaphylaxis, a life-threatening (severe) allergic reaction. 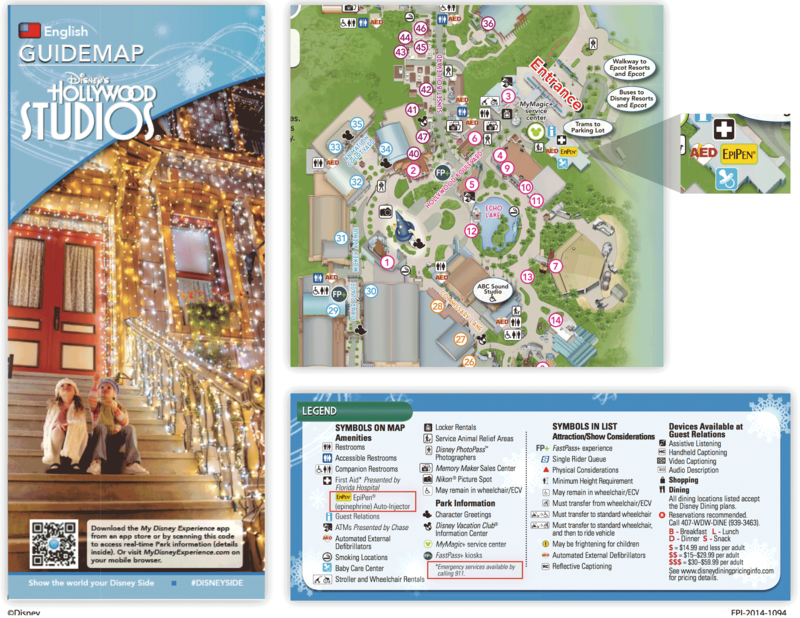 The agreement includes updated maps in Disney’s domestic theme parks and on its cruise ships as well as updated signage in the parks that highlight locations with EpiPen® (epinephrine) and EpiPen Jr® (epinephrine) Auto-Injectors. Over time, the companies also will introduce a variety of educational resources designed to increase awareness of and preparedness for severe allergic reactions. EpiPen® locations will roll out at Disney parks and on cruise ships beginning in late 2014. In addition to emergency medical services (EMS), nurses trained to administer EpiPen Auto-Injectors are available during First Aid station operating hours to assist guests experiencing a severe allergic reaction. To help guests identify EpiPen locations, Disney’s guide maps will now include an EpiPen Auto-Injector symbol and new signage at First Aid stations. Anaphylaxis is unpredictable, and can progress quickly and without warning. Clinical guidelines state that epinephrine is the first-line treatment when anaphylaxis occurs, making access critical. For those with a known risk, it is important to be prepared with an anaphylaxis action plan that includes 1) avoiding known allergens, 2) recognizing the signs and symptoms of anaphylaxis, 3) having immediate access to two epinephrine auto-injectors, such as EpiPen Auto-Injector, and 4) seeking immediate emergency medical care should anaphylaxis occur. Families managing known severe allergies are encouraged to follow their individual anaphylaxis action plans and carry their epinephrine auto-injectors with them at all times. 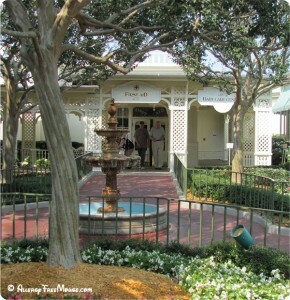 Magic Kingdom – next to The Crystal Palace restaurant on Main Street. Epcot – at the Odyssey Center. Hollywood Studios – near Guest Services on Hollywood Boulevard. Animal Kingdom – behind Creature Comforts in Discovery Island. Typhoon Lagoon – behind Leaning Palms. Blizzard Beach – between Lottawatta Lodge and Beach Haus. 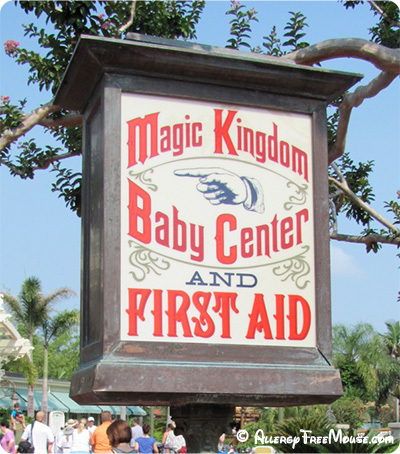 Downtown Disney – there is no first aid station available. Immediately contact a Disney Cast Member if there is an emergency. Call for 24 hour emergencies. Epcot Center Drive becomes World Center Drive after passing under U.S. 4. Hours of Operation: Weekdays, 8 a.m. – midnight, and weekends, 8 a.m. – 8 p.m. Located in Celebration, Florida, off of I-4, East Highway 192 and State Road 417. It includes family and general services, a pharmacy, and 24-hour emergency services.